We empower our Members to become active city builders and advocates for change through innovative programs and exclusive opportunities for civic engagement. 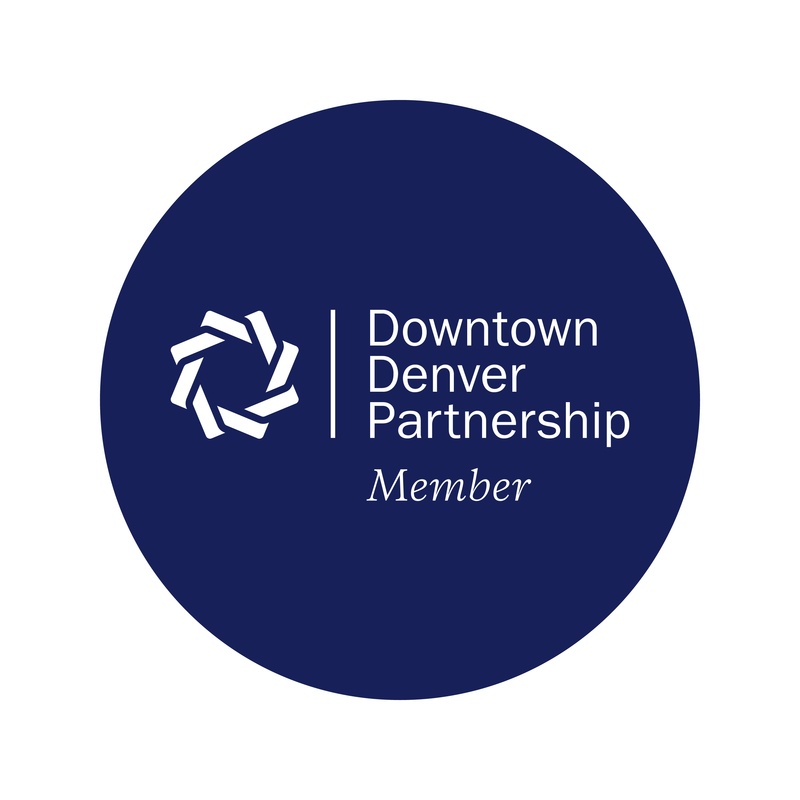 As a Member of the Downtown Denver Partnership, you and your team have the opportunity to become informed, advocate for change and secure exclusive leadership and engagement opportunities. Not yet a Member? Contact us to join today! Our three Downtown Denver Partnership Boards of Directors are comprised of business leaders from Member organizations who advocate for transformative city planning and policies that directly impact the center city. Comprised of business leaders from Downtown Denver Partnership Members, our council and committee members are a leading voice in shaping the future of the center city. The Downtown Denver Leadership Program provides an intense immersion in urban issues, policies and practices through an annual project that challenges the participants’ ability to research, analyze and collaborate. Insider access to unique experiences (tours, lectures and events) highlighting key programs and developments in our center city. Special VIP experiences at Partnership events including the 9NEWS Parade of Lights, Downtown Denver Rink at Skyline Park, Skyline Beer Garden and more. Through our annual Urban Exploration trip, we bring city and business leaders in Downtown Denver together to learn about the best practices of other cities. Your company news will be featured in the Member News section of our bi-weekly Member Update, distributed to more than 5,000 Downtown leaders and decision makers, and we announce your membership in the newsletter as well. Proudly display your commitment to an economically powerful downtown Denver by placing our logo on your website or decal at your establishment. We honor Members for outstanding leadership and dedication to the center city and the Partnership with awards at our Annual Meeting. Sponsorship provides an unequaled opportunity to focus your attention on the strategies that matter the most to your company’s growth. Access to valuable savings programs that reduce business expense. Click here for details about our Office Depot/Office Max Discount Program. Access to conference rooms at the Partnership’s office (depending on availability). Discounted Member rates to regularly-scheduled presentations on current topics impacting Downtown Denver. We introduce Members to each other to ensure they are making connections their business needs to be successful. A comprehensive presentation for your team to know everything they need to know about Downtown, including commercial and residential development, company relocations, retail recruitment, residential and workforce demographics, and more. A series of communications to inform you on the latest news, strategic initiatives and events in Downtown Denver. Additional information and education on how to take an active role in creating a safe, welcoming and inclusive environment in Downtown Denver. Get a front row seat to Denver Startup Week, the largest free entrepreneurial event of its kind in North America. Connect with Downtown’s entrepreneurial community at The Commons on Champa with opportunities to learn from and/or showcase your leaders through Women on the Rise, Leadership Spotlight Series and other signature events. Learn more about the Partnership’s goals and objectives, and how to make the most of your Membership. Access to the Partnership’s comprehensive library of reports and research. Get a cost analysis of employee use modes of transportation, and consultation for your employees to best get around by taking advantage of Downtown’s multi-modal transportation network.